Call 400-9051 for a free consultation and to initiate pet sitting and dog walking services for all of your pet care needs in Tucson, Arizona. And you can call me at any time to find out how your pets are doing while you are away. We are veterinarian recommended. I look forward to meeting you and your pets. This web site features me and our pets. We have 5 dogs, 2 cats, and 3 chickens. They are all rescues. It is such a pleasure living with animals. FREE VISIT: We want to give a free visit or dog walk to any newly adopted rescue dog or kitty. And thank you for helping these wonderful and deserving pets find their forever home. 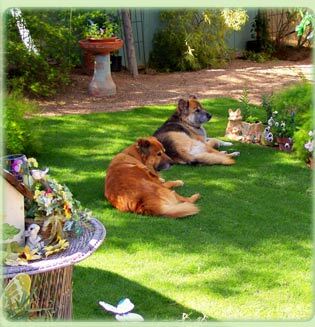 The following is a description of services for Home Sweet Home Pet Sitting and Dog walking in Tucson, Arizona. Your in home pet sitter will provide services including dog walking, feeding, fresh water, cleaning cat box, cleaning pet area, waste pick up, medications, injections, shopping for pet supplies, trips to the vet and groomer, and, of course, all the fun stuff like play time, petting, throwing the ball, cuddling and all games and activities your pets love. We also have a special walk in the park which dogs love. We want to keep them happy, healthy, loved, entertained, and safe while you are away. All service plans are individualized to meet the needs of your home and pets. Home services include bringing in mail and paper, watering plants indoors and out, changing the lighting and blinds so your home looks occupied, taking trash and recycling to the street for pick up, keeping an eye on your home and checking for safety. We’re also happy to be there to let in repair services and for any of your other needs. And you can call me at 400-9051 or your pet sitter at any time while you are away to see how your pets and home are doing. Consultation: Our first visit is a free consultation. I come to your home so you and your pets can meet me and I bring a Pet Service Plan so that I can write down what services you would like, contact phone numbers, vet name, address and phone, your pet’s information and preferences and home care needs. I also bring copies of my liability and bonding insurance, Pet Sitters International membership, Red Cross Pet First Aid/CPR Certificate, letters of recommendation, and phone references. We will develop an individualized service plan that will fit the needs of your pets and home. We are veterinarian recommended.